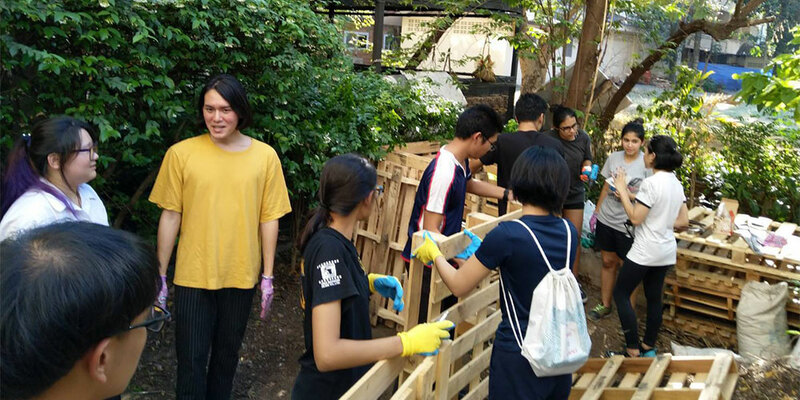 Mahidol University International College (MUIC) students are leading the way, with significant contributions of time, energy and ideas from all Divisions, to kick off a sustainable waste processing project for MUIC. 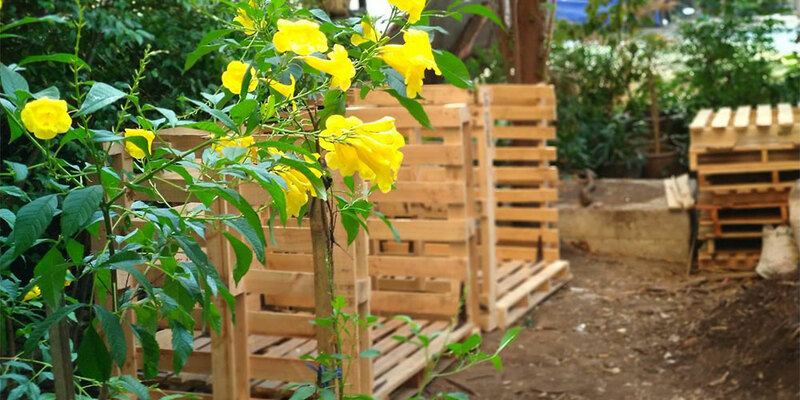 The first phase was the construction of compost bins which they started on March 11, 2019. 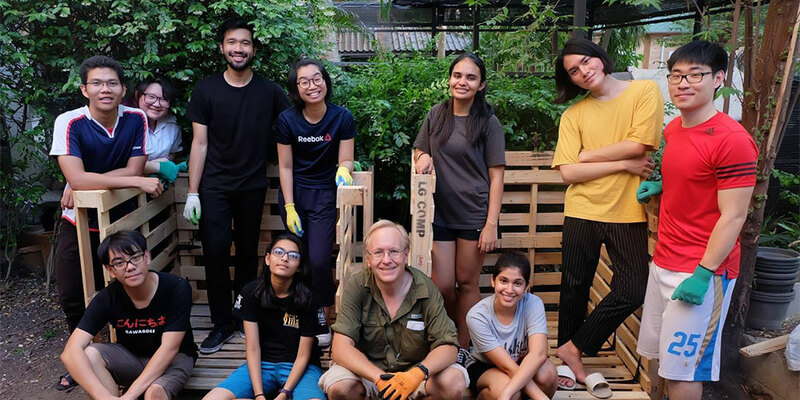 Spearheaded by the Nature Lovers Club and Science Society Club, this worthwhile project—expected to reduce MUIC’s ecological footprint in a win-win manner—also attracted support from officers and members of other clubs like Rak Kaew along with BI 498 research students under Mr. Laird Allan. In the coming days, they will be seen working hard on processing MUIC’s landscaping and food wastes in the lowest impact manner possible. The next time they will work on building the compost bins would be on March 16.